INEA is looking for new experts to assess Telecom project proposals submitted for EU funding. 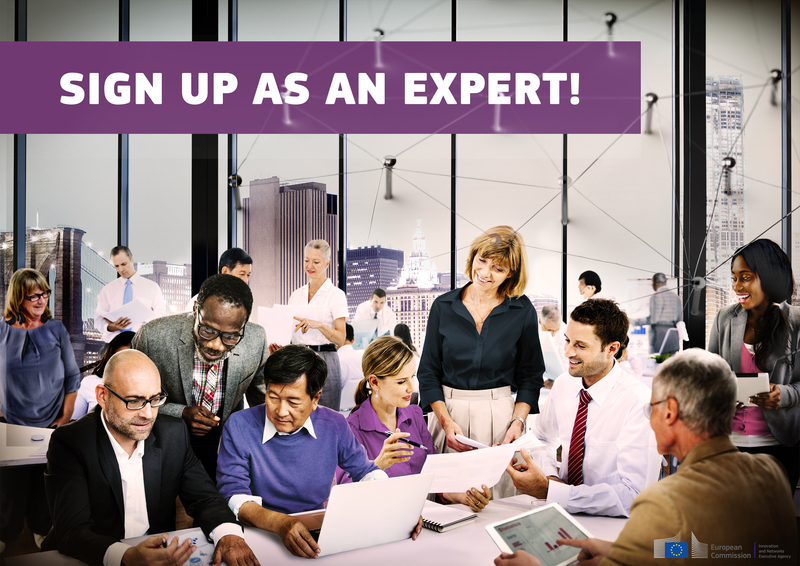 Sign up to the European Commission's expert database as soon as possible! Are you an expert in one of more of these areas? The selected experts will assess the project proposals submitted for the CEF Telecom calls published in 2018. Evaluations of the project proposals will be conducted both remotely and in Brussels. If selected, you will be able to indicate your availability to come to Brussels during the weeks indicated in the 'availability check' survey which will be circulated only to those experts which have registered in the database and ticked the "CEF" and relevant expertise box. Telecom evaluators cannot under any circumstances have a conflict of interest with any of the organisations submitting a project proposal. You will have to sign a declaration on confidentiality and absence of a conflict of interest before you can read the proposals. Registration as soon as possible! INEA needs CEF Telecom call evaluators for the several calls opened in 2018 and beyond. If you want to be considered, please register as soon as possible in the expert database. Do not send emails to INEA – the expert database is the only way to be selected as an independent expert!